You will Watch G.I. Joe: A Real American Hero Season 1 Episode 6 online for free episodes with HQ / high quality. Stream cartoons G.I. 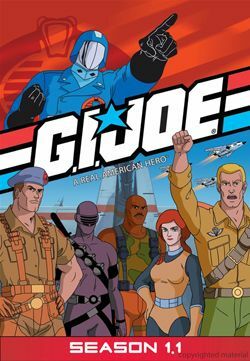 Joe: A Real American Hero Season 1 Episode 6 Countdown for Zartan Cobra tries to take over a global anti-terrorism conference when they send Zarton to replace an ambassador and blow up the Worldwide Defense Center, but G.I. Joe captures and places him in the Defense Center’s prison.